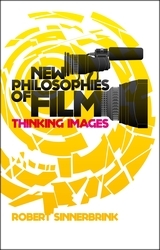 Robert Sinnerbrink’s New Philosophies of Film is an introduction to the hybrid field of film-philosophy, directed at enthusiasts and scholars of both philosophy and cinema. This emergent discipline has become popular in recent years and, with a clear structure and straightforward language, this is a thorough and readable primer for those approaching the subject for the first time. For Sinnerbrink, analytic-cognitivism is the dominant expression of philosophy in film studies. Unsurprisingly then, the first part of New Philosophies is its strongest. Sinnerbrink provides a background to analytic-cognitivism by way of a clear and in depth critique of the highly influential backlash against Grand Theory that was launched by Bordwell and Noël Carroll in the 1980s. Sinnerbrink’s relationship to Carroll in particular has a slightly confusing push-pull feeling to it, but this is probably a result of the inconsistencies in Carroll’s work. As Sinnerbrink explains Carroll’s position, it quickly becomes evident how Carroll’s rejection of the conceits of critical theory produces thinking that is just as limited. For me, it’s Carroll’s dismissal of the effect medium has on how cinema is experienced that is most frustrating, because it disavows the big question – what is cinema? – that encourages imaginative and open thinking on the subject. In spite of Carroll’s disregard, Sinnerbrink suggests it is this very question of cinema’s ontology that the philosophical turn has revived. And, he reveals, despite Carroll’s push against medium essentialism, he and other cognitivists do address problems of medium, style and narrative, particularly in relation to digital cinema. In fact, Carroll puzzles long and hard over what constitutes a film image. As Sinnerbrink explains, Carroll prefers the term “moving image” to “film”, arguing that movement – or the “technical possibility” of movement in films that, like Chris Marker’s La Jetée (1962), eschew movement proper – is a fundament of film. This leads to a brief discussion of Stanley Cavell and Gilles Deleuze, two philosophers of film who, Sinnerbrink writes, have been given plenty of critique elsewhere. Sinnerbrink draws out the commonalities in their work as a bridge to the second part of the book. This turns to the notion of film-philosophy. The movement from philosophy of film to film as philosophy is a fascinating one. As Sinnerbrink states, one of the main criticisms of the film as philosophy approach is that film “does not give reasons, make arguments, or draw conclusions, [and hence] cannot be understood as ‘philosophical’ in the proper sense.”(117) Interestingly, Sinnerbrink’s own position on this point is curiously ambivalent. To get the most out of film, we might acknowledge that film is not of the world, film is a world (a new world). Film is not simply a reproduction of reality, it is its own world with its own intentions and creativities. Cinema is the projection, screening, showing of thoughts of the real. With Frampton’s statement in mind, it seems possible to envisage film as a medium for working through philosophical problems (ethical, natural and metaphysical) by setting up possible positions and proposing possible consequences. Furthermore, in Frampton’s work film thinks through specifically cinematic processes. It is the affective, visual, non-verbal qualities of cinema that allow it to shed new light on ordinarily linguistic philosophical problems. Sinnerbrink, however, seems to hesitate. Frampton’s assertion cheekily turns away from the notion that language is a fundament of philosophy. New Philosophies hovers, neither agreeing nor disagreeing. This is not a criticism. The ambivalence of Sinnerbrink’s position raises necessary questions about how easily, and in some cases superficially, the discipline of philosophy, with its well established language and form, has been tacked on to cinema in the late twentieth century rush to find new ways of thinking about film. Sinnerbrink remains unsure when he turns to his own textual analysis. He chooses three films that he describes as “blending non-mainstream narrative, while engaging, more or less critically, with the Hollywood tradition”. (139) They are Inland Empire (David Lynch, 2006), Antichrist (Lars Von Trier, 2009), and The New World (Terrence Malik, 2005). They all, he writes, “display a striking ‘resistance to theory’, which makes them challenging test cases to explore the hypothesis of cinematic thinking – a non-conceptual or affective thinking in images that resists cognitive closure or theoretical subsumption”. (139) It’s clear that his approach to the idea of cinematic thinking is as a proposition that has yet to be proven. The analyses themselves don’t bring us any closer to a conclusion, and I did wonder if this is because Sinnerbrink doubts thought that is unmoored from language. He comfortably puts forward ways of reading narrative themes, but fails to elucidate how the films generate new thinking through their images. In his analysis of The New World, he describes the opening scene of the film – a brief shot of a woman swimming underwater cut with a long shot of three ships entering an idyllic harbour –but his description is vague and gives no suggestion as to how the shots ‘think’. If film is to do philosophy, then the details matter. For example, how does the light fall in the shot? How are the bodies and objects framed? How does the grain swim or the pixels shudder over the screen? And what is the intensity of colour? In a way, it’s a question of finding new language to address these new ideas. If a film performs thought in a way that is different from the traditional linguistic methods of philosophical thinking, then to translate that thinking into language is going to require a new way of writing. The precedents are already in place. Sinnerbrink terms his film-philosophy a “(romantic) film-philosophy,” and the romantic notion that a work already contains its own critique is as good a place as any to start. Filmmaker Harun Farocki’s occasional writing on how his images think furthers the adventure, and the film work of theorist Nicole Brenez performs a written form of visual thought that is radical and invigorating. The strength of New Philosophies of Film is the way it presents a clear history of film-philosophy thus far. What it opens up is a call for further thought on the matter, and for writers to find ways to communicate the slippery process of image-driven thought. Daniel Frampton, Filmosophy (London: Wallflower, 2006) 4-5.